The Epilog Zing Laser Starter Series is Epilog’s small format, high-quality engraving line. Perfect for everything from home use to starting a business, the Epilog Zing Laser features high-quality engraving, at the low cost you’re looking for. 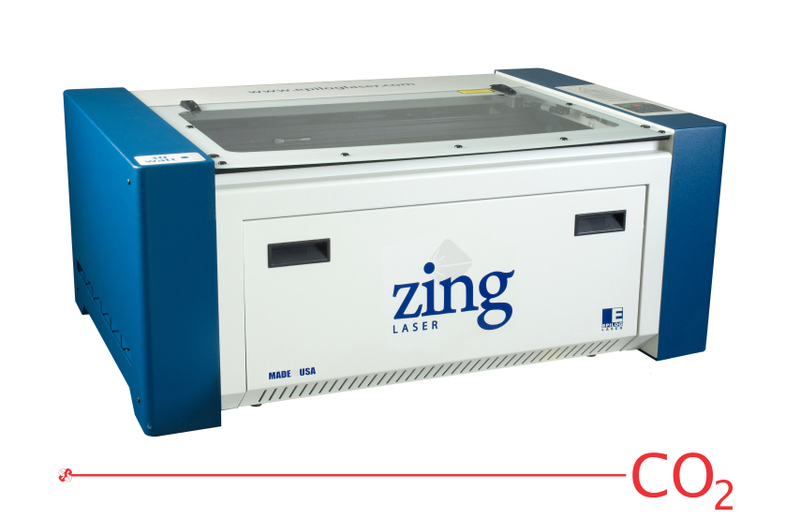 Whether you’re looking for your first laser to start out in the engraving and cutting industry, or adding a second laser to your line, the Epilog Zing is a great choice with it’s excellent engraving quality and low price. And we’re proud to say it is 100% designed, engineered and built in the USA!